We just bought a doe and she is pregnant, but no one could tell us how far along or when she was bred, So now what do I need to do????? Thanks for a GREAT website with tons of info that is very very helpful. 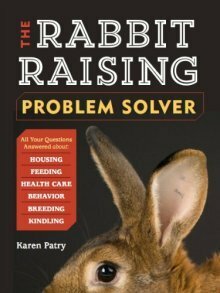 If it were me, I'd read the whole "Breeding Rabbits" section. If the doe is cranky, and scratching in the corners of her cage, those are good signs. If you throw some hay or straw in her cage and she starts carrying it around in her mouth, then perhaps you better pop a nest box in there. Bottom line - you mightn't necessarily wait for this sign or that sign. It's better to get the nest box in there early than wait till she's strewn the floor of the cage with kits willy nilly, which you'll discover the next morning when they're stone cold and lifeless.